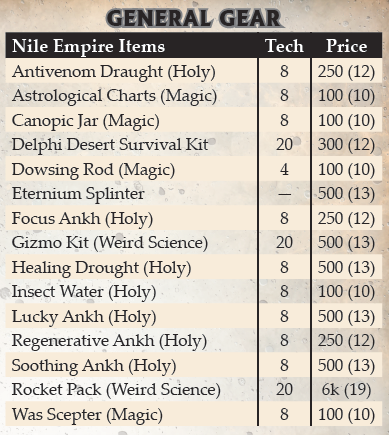 As one of the invading realms with high Spirit and Magic Axioms, the Nile Empire has plenty of holy and magic items that are relatively easy to acquire. Many of these holy items are in the form of ankhs usually worn as an amulet around the neck. Magic items are more specialized than those found in realms like Aysle. You won’t find many enchanted swords here, but instead the magic items commonly found are connected closely with the themes and tropes of the cosm. The more powerful magic items are actually mystical artifacts—a manifestation of pulp powers. Additionally, some local varieties of armor, weapons, and vehicles are detailed, including five different sizes of bombs. Finally, here’s a preview of the Gizmos Perk. This Perk is undergoing playtesting, so this isn’t necessarily the final form it takes. Gizmos – what a refreshing way to inject role playing and story based narrative into the game! Is the adding of the card to the pool in addition to the Gizmo solving the problem, or is it how it solves the orobkem, by giving them a card to play? 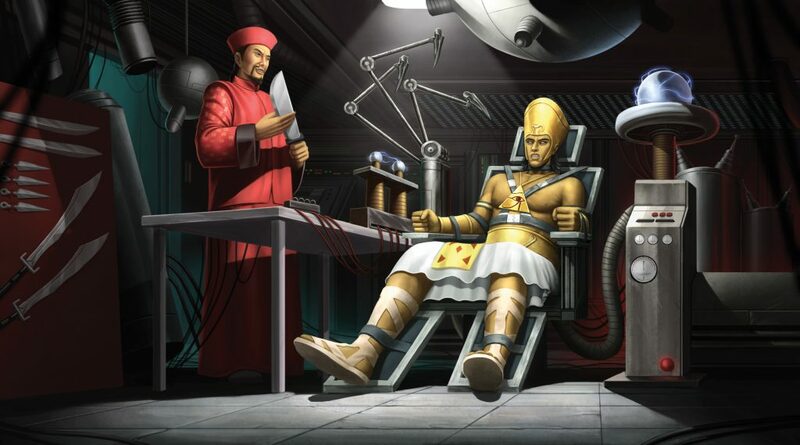 There really was no derivation between gadgets and gizmos in the original Nile Empire material, so I’m really glad you’re taking the time to go over these new ideas. And, I agree with George… fascinating means of injecting role-play and story-based narrative. Nicely done.